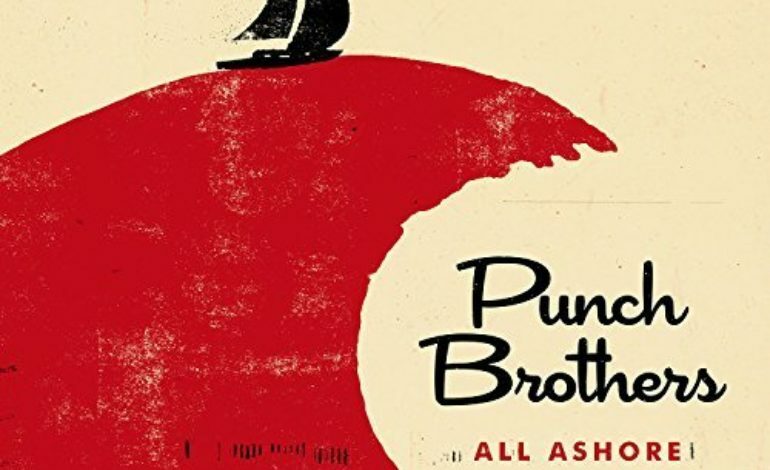 Punch Brothers are back with their fifth LP, All Ashore, and once again these guys are putting to shame every other man on earth who dares to hold an instrument in hand, but they might need to tone down it down a bit. This shouldn’t be surprising to anyone familiar with the unique quintet. They continuously toe the line between “instrumental break” and “unnecessary musical talent showoff moment that doesn’t quite match up to the lukewarm lyrics attached.” Okay, okay, so is the album a successful one? In some ways, very much so. In other ways, not so much. This album is definitely different than Punch Brothers we’ve seen over the years with a lot more music, a lot less story. Chris Thile, the mandolin player and unspoken leader of the group, called the album a “meditation on committed relationships in the present political climate.” Instead of the high-energy, high-volume Punch Brothers that brought us, “Who’s Feeling Young Now?” and “My Oh My,” we only catch glimpses of that energy in songs like “Three Dots and a Dash,” the fun upbeat track named after a World War II cocktail. “Jumbo” calls out Trump plainly saying, “He ain’t dumb, no / You elitist bums, go / Get yourselves off of Capitol Hill / Cause we’ve just about had our fill.” The album seems to long for something better, perhaps even long for a hero to come in and make things alright again. Somehow though, in the midst of this collection of songs, there is a resounding feeling that the hero will never arrive… a resounding feeling of vague confusion. Perhaps this feeling comes from the fact that the words in this album have no chance to catch up to the music. Between the lengthy instrumental breaks, the quick fiddle and picked banjo, no vocals will ever outshine the sheer mastery these musicians are bringing to the table. So at least Punch Brothers have a good problem to tackle– they’re just too damn talented! Unfortunately though, if these musicians can never find that perfect balance, they will also never be able to pack the punch they so clearly need to throw at society.